At WMODA, we are fascinated by wearable glass and we have several pieces by Chelsea Rousso on display. 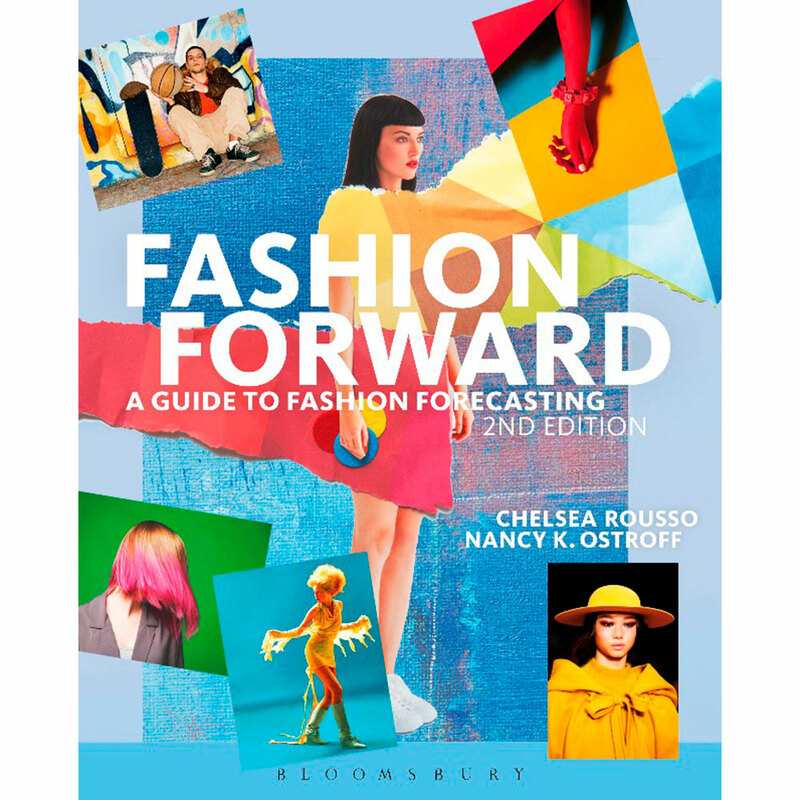 Chelsea is a fashion writer, teacher and fused glass artist. She weaves ribbons and strands of glass into female forms some of which are designed to be worn. Guests at our WMODA after dark events will have seen several beautiful young models wearing her kiln-formed bikini tops and corsets and we have her latest glass outfit on display in the Carnival & Cabaret exhibition. We tend to think of wearable glass as an innovative use for the medium. 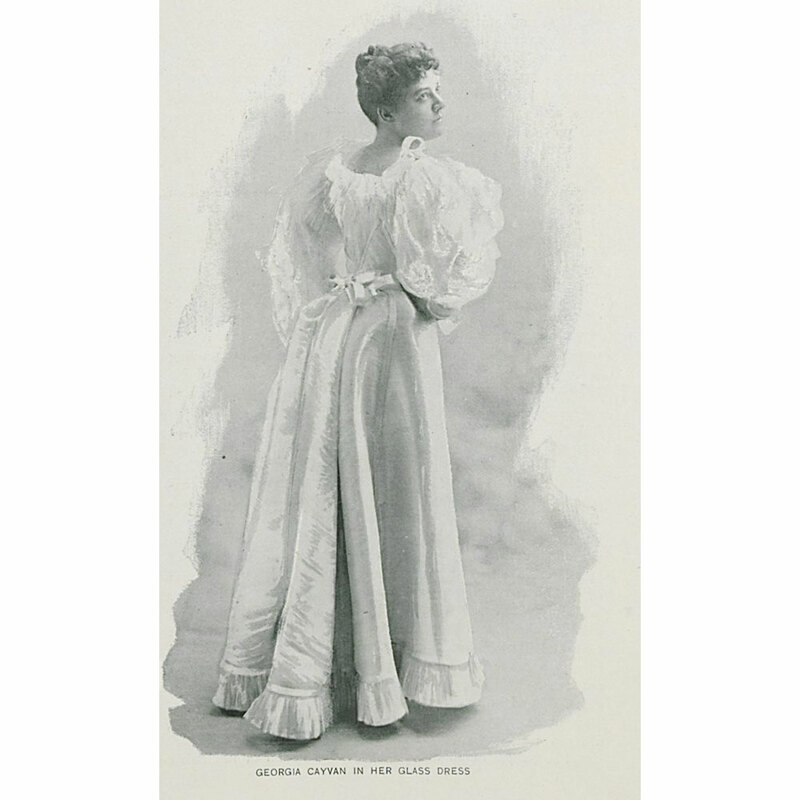 However, recently we came across a glass gown exhibited at the Chicago World’s Fair in 1893. 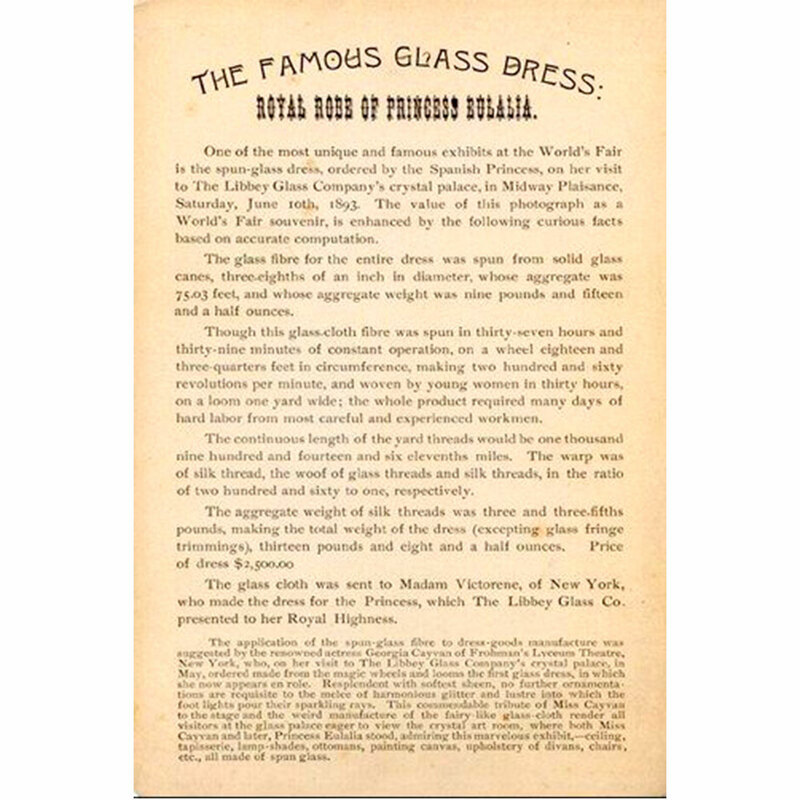 A highlight of the ‘crystal palace’ exhibit, presented by the Libbey Company of Toledo, Ohio, was an evening gown made of spun glass. Libbey’s engineers had developed a method to pull glass into extremely fine thin flexible strands, which were woven on a hand loom together with organic fibers, such as silk, to cushion the fragility of the material. Within Libbey’s glass palace was an enchanted room where everything was made of spun glass, from the curtains to the cushions to the lampshades. 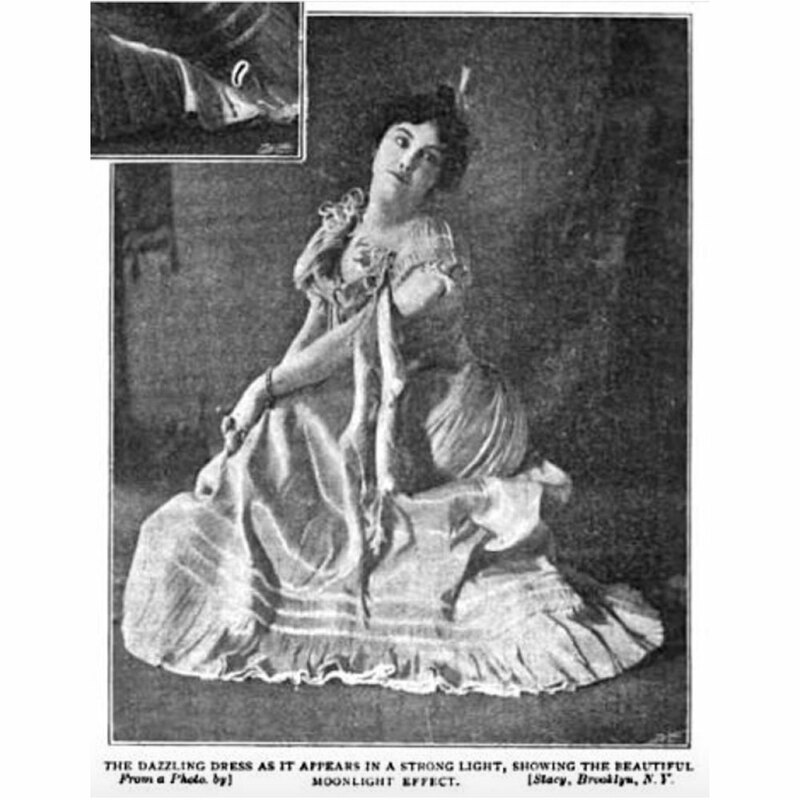 The actress Georgia Cayvan was captivated with the display and envisioned a gown made of glittering glass. 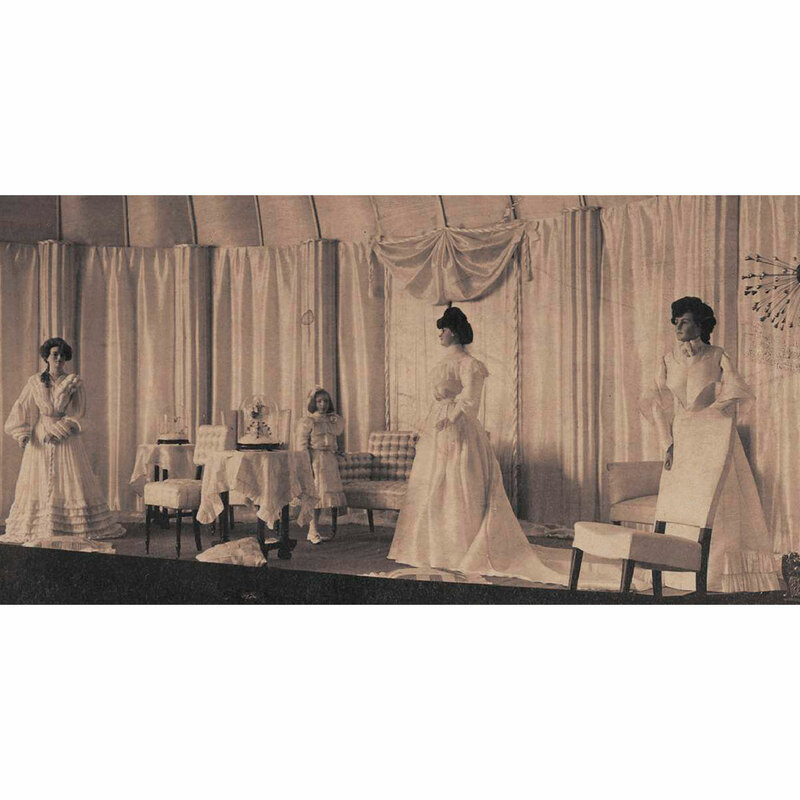 She ordered 12 yards of spun glass at $25 a yard and Libbey created a dress for her. It proved to be too brittle to wear regularly and was displayed at the fair where it caught the imagination of Eulalia, the Infanta of Spain. 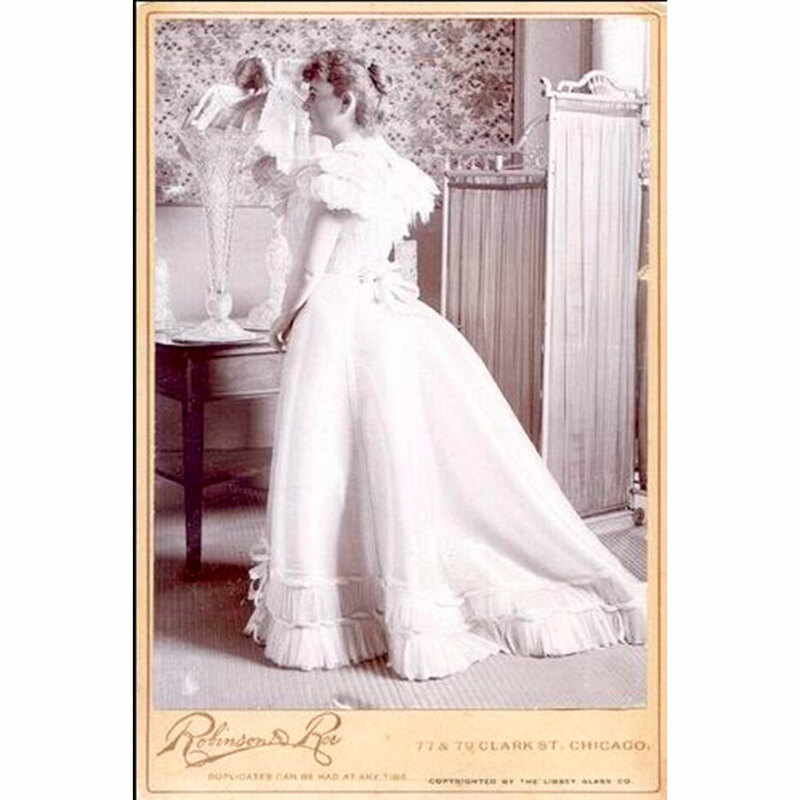 Libbey presented a second glass gown to the princess and a cabinet card from 1893 depicts the novel dress along with the details of its manufacture. 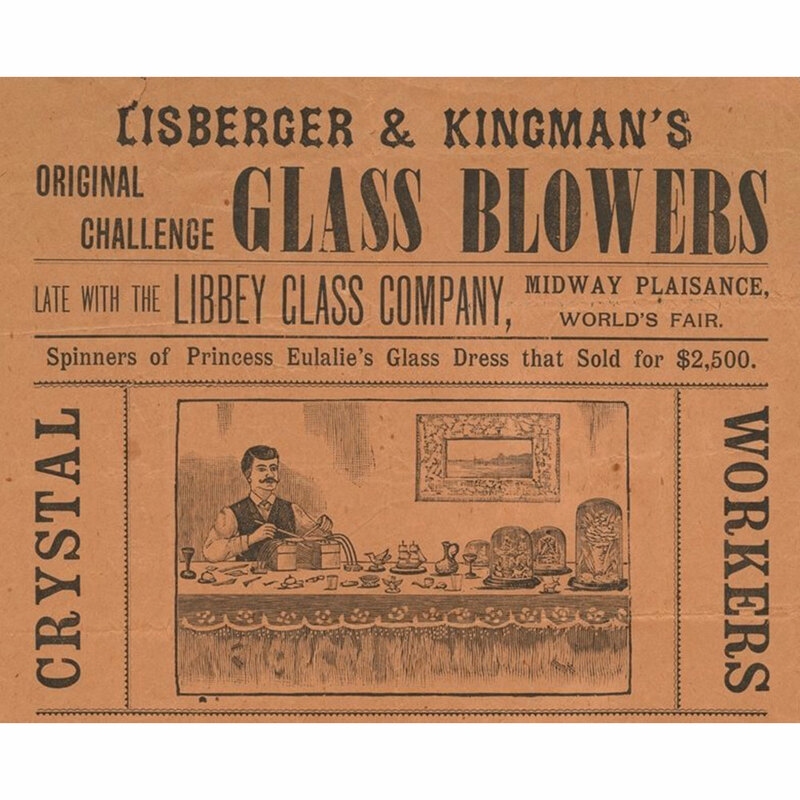 The Libbey glass makers spent more than 67 hours spinning and weaving the glass gown which weighed nearly 14 pounds and was valued at $2,500. Spun fiberglass had a shine unlike any other fabric of the time and following the endorsements of an actress and a princess, the New York Times proclaimed glass clothing as the future of fashion. 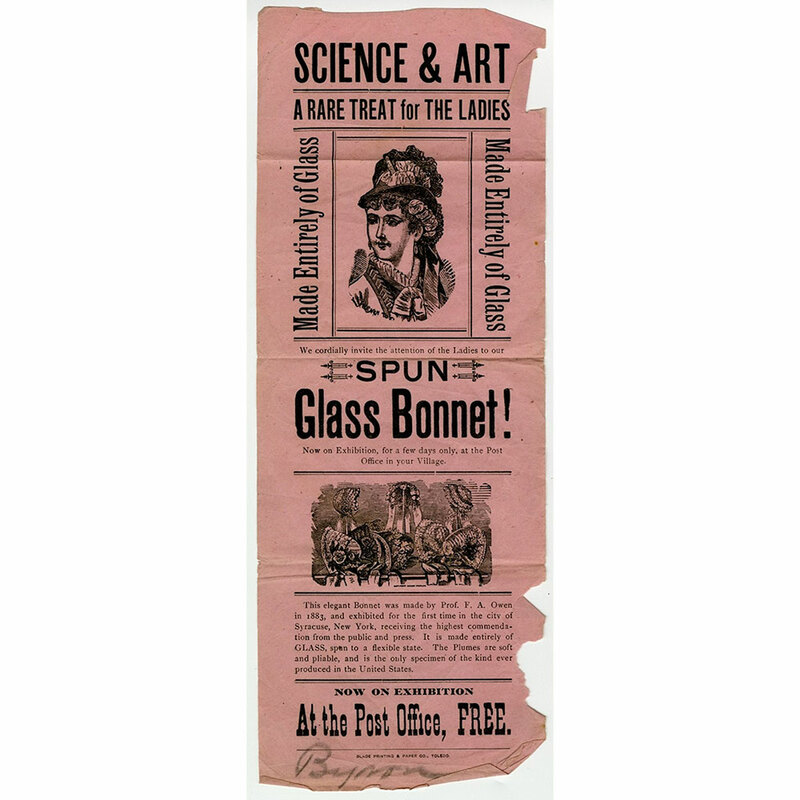 In the 1890s, ladies could purchase glass bonnets and men could wear souvenir neckties from the Chicago exhibition. 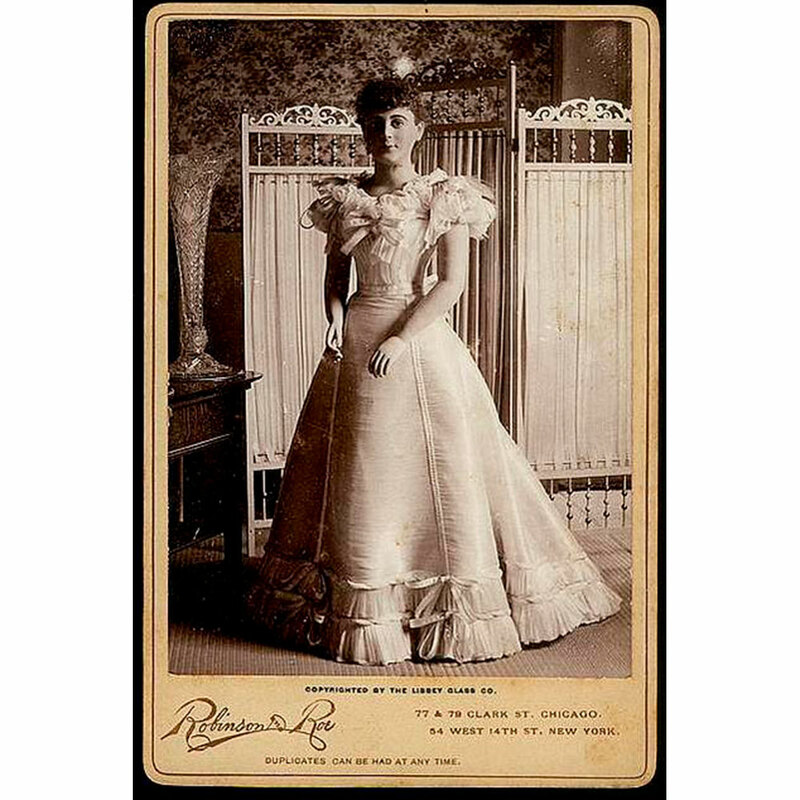 One of the virtues of glass clothing was that women would be “quite independent of the cleaner and the laundress,” because the glassy garments just needed a quick scrub with soap and water. 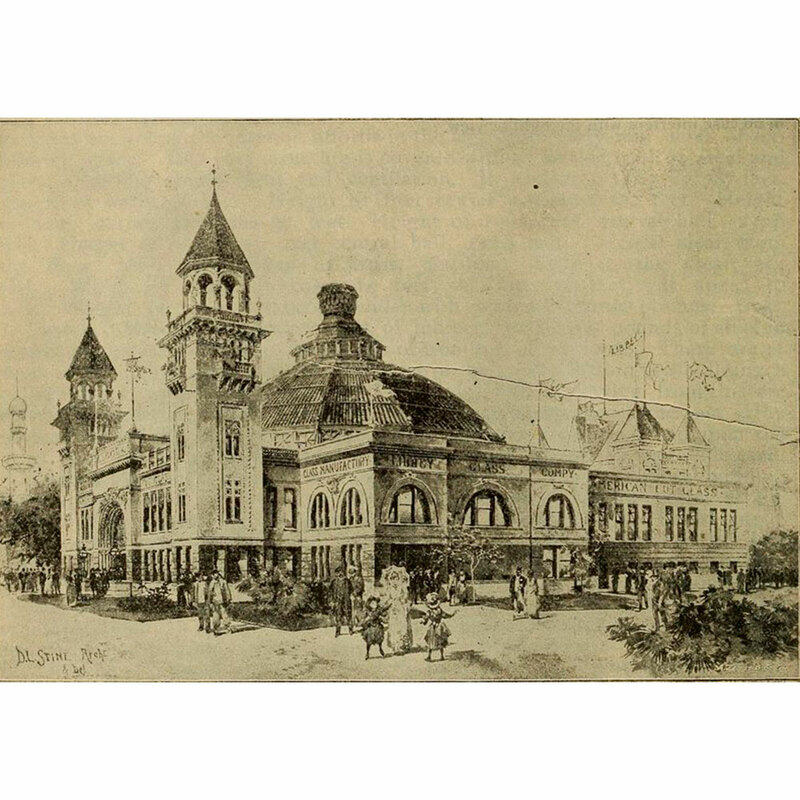 The novelty value of Libbey’s glass dresses prompted him to create an even bigger display at the 1904 World’s Fair in St Louis. Cinderella’s glass slippers, created by her fairy godmother with a flick of her wand, now had some serious competition. However, the glass fashion gimmick seems to have waned in the 20th century as glass was replaced with modern synthetic fibers. Now we have a new twist on wearable glass at WMODA!